Two connected villas, 2-bedroom and a 1–bedroom villa, both with private pools, two sun-loungers, poolside dining plus open-air living and entertainment areas, air-conditioning in the total of three king-sized suites, plus media room, guest loo and kitchen. These two adjacent villas are connected by discrete doorway in their gardens to create a 3-bedroom estate, great for a small groups or larger family. Villa 2 boasts a wealth of space, featuring two large bedrooms with heavenly king-size beds, where light cotton mosquito netting creates the illusion of grand four-poster beds, with views of the sparkling turquoise pool and gardens through ornately-carved, antique slatted window-frames, and en-suite bathrooms with bespoke Balinese wall carvings, deep terrazzo bathtubs and romantic outdoor rain showers. This villa and its oversized, outdoor pavilion with deep, luxurious seating, harmoniously blends the traditions and magic of Bali with the all the comforts and luxury of a five-star hotel, with silver service in-villa dining and spa treatments all on call. Across the lush gardens, vibrant with Bougainvillea and fragrant Frangipani, a separate outdoor dining area is perfect for al fresco dining, while a fully-equipped kitchen and air-conditioned media room complete this amazing retreat. 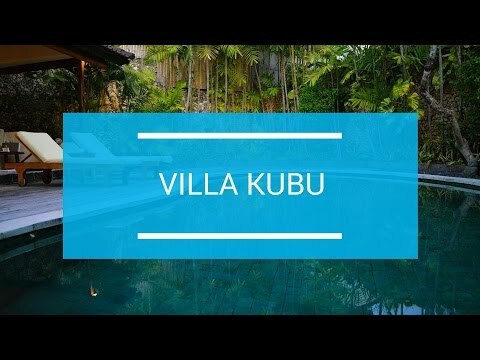 Villa 14 is a haven of peace – the perfect couple’s or teenager’s retreat, with total privacy in this intimate one-bedroom pool villa, where a sun-drenched, free-form swimming pool welcomes guests as they step through the traditional Javanese doorway, hidden within a wall of tropical vines. This Balinese escape features a light-filled bedroom with super king-size bed leading to an outdoor en-suite bathroom with a decadent freestanding terrazzo bathtub and a fabulous garden shower. A large deck with sunbeds looks over a lush garden of unspoiled nature, where mature trees, flora and fauna climb elegantly over old stone walls and tropical birds chirp in the sunshine, all enjoyed from the indoor/outdoor lounge area with teak table and dining chairs and an adjoining fully equipped kitchenette.